As a skilled, compassionate West Allis, WI dentist, Dr. Michael Flynn offers a complete array of treatments to meet your needs. No matter what treatment you require, you will benefit from Dr. Flynn’s clinical expertise, personalized treatment, and commitment to excellence. Routine cleanings and exams are a key component of good dental care. Dr. Flynn uses advanced technology to check for the early signs of decay and other dental concerns. Digital x-rays provide sharper, more detailed images than traditional film x-rays, and DIAGNOdent laser cavity detection revels even the smallest cavities and lesions below the tooth surface. For optimal dental health, you should schedule biannual appointments with Dr. Flynn. At these visits, he will also provide a thorough dental cleaning and conduct an oral cancer screening. Crowns: Custom-made caps can strengthen a weakened tooth and restore its full functionality. Fillings: By placing a filling, Dr. Flynn can halt the spread of decay and reinforce your weakened tooth. Root canal therapy: If decay has spread to your dental roots, a root canal can end your discomfort, stop the spread of bacteria, and save your tooth. If you are missing teeth or if your teeth are too damaged to repair, Dr. Flynn can provide highly lifelike implants, bridges, or dentures. Dental implants are permanent restorations that offer unparalleled stability, durability, and protection for your oral health. With specialized training in implant placement, Dr. Flynn furnishes top-quality service and stunningly lifelike restorations. 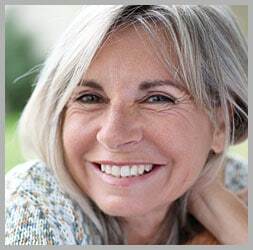 Although bridges and dentures do not offer the same degree of stability, they are still excellent tooth replacement options, especially if you have a compromised jawbone structure or if you are on a budget. Dr. Flynn works with an excellent dental lab to provide you with beautifully crafted, realistic restorations. Perhaps you have healthy teeth, but you are dissatisfied with the appearance of your smile. Dr. Flynn provides several cosmetic procedures that can enhance your grin and self-confidence. Using custom-made whitening and peroxide-based gel, our whitening treatment can lighten your smile by several shades in just two weeks. By offering at-home treatment, we make your whitening procedure affordable and convenient. If you want more comprehensive results, you may be a good candidate for porcelain veneers. These thin, custom-made shells adhere to the front of your teeth, and they may be an excellent solution if you have cracked, chipped, or misshapen teeth. They can also cover up intrinsic stains and close gaps in your smile. Our broad range of expert dental services means that we can custom-design an appropriate treatment plan regardless of your unique needs and preferences. To learn more, schedule a free “get acquainted” appointment by filling out our online form, or by calling our office in West Allis, WI, at 414-541-8250. We proudly serve the residents of West Allis, Brookfield, Wauwatosa, and all Western Milwaukee communities.